Cook bacon in a large skillet until crisp; remove and drain on paper towels. Drain all but 1 Tbsp of bacon grease. Add shallots and cook for 5 minutes over medium heat to soften. 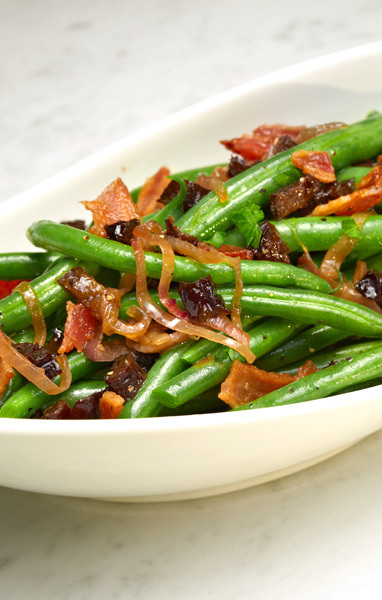 Add green beans and seasonings; cook and stir for 5 minutes more or until green beans are crisp-tender. Add Amaz!ns™, sherry, and cook until excess liquid has cooked off. Season to taste with pepper and crumble bacon over top.